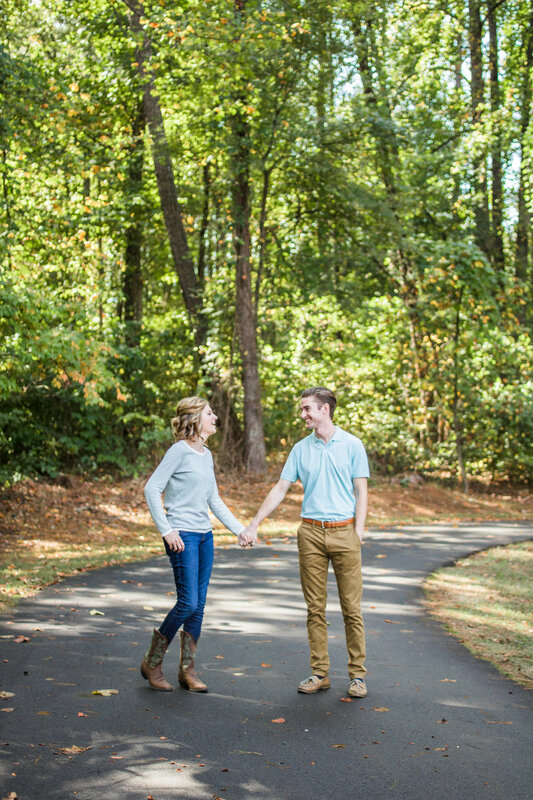 So a couple months ago, while I was in Atlanta for a wedding, I got the chance to do a sweetheart session with my cousin Amber and her boyfriend John! It was so good to catch these two on a trip back east since they weren't able to make it to our wedding, yay for the rare times when schedules coordinate well! :) We actually went out in the MIDDLE OF THE DAY and I was kind of nervous about how the bright sun would treat us, but we found the prettiest shaded trail in a nearby park and the lighting ended up being perfect. So many good coincidences in a weekend! 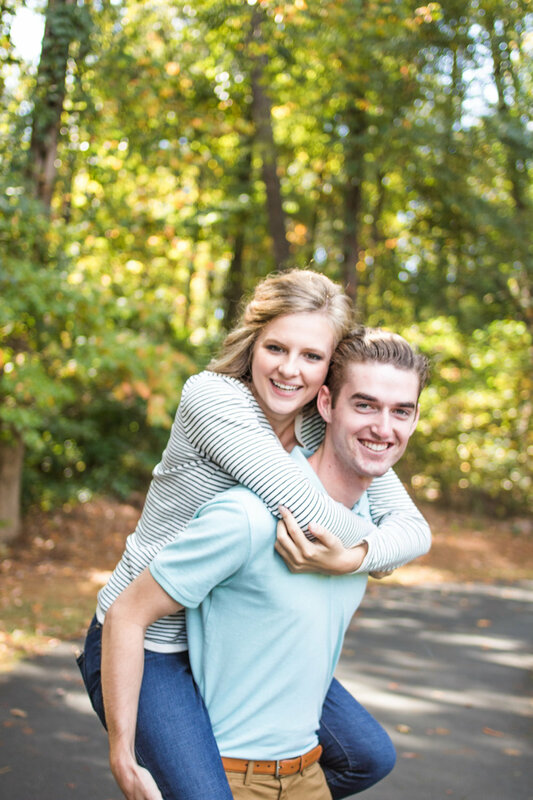 Also, I would like to say thanks to Amber and John for being so cute and easy to work with. I had so much fun! Here are some of my favorites from the shoot, I hope you enjoy!